I reckon curiosity is the driving force behind exploration. No places lead the heart and mind forward like the wild country of the interior West. 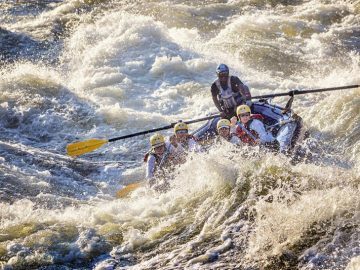 When I found out I was scheduled to raft the Owyhee River last spring, an area that has always tugged at my sense of curiosity, I was elated. This region looks like an unmade bed from the sky, draped in a frenzy of undulating hills, rumpled and deeply eroded canyons and plateaus, etched and carved out by spring run-off and the Owyhee River itself — it is, in fact, the second largest, intact, unprotected swath of land in the West. My kind of country, to be exact. Owyhee is not an Indian word. 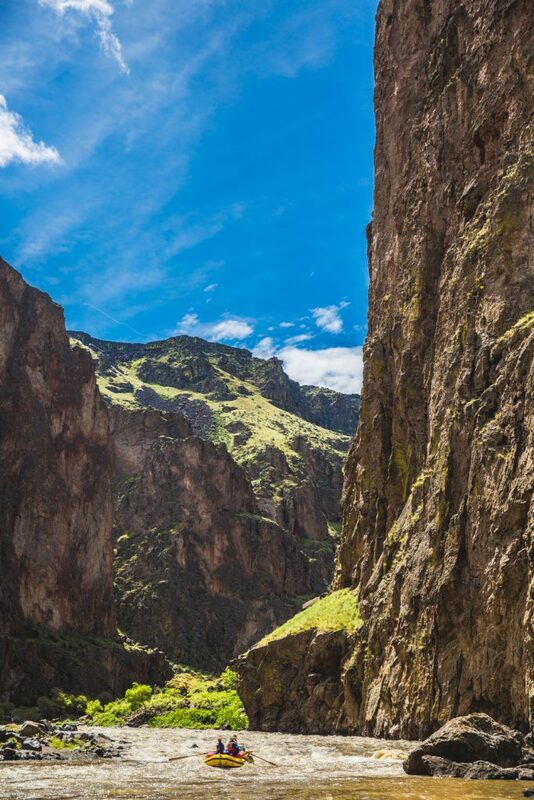 To make a long story short, the Owyhee was named after three Hawaiian trappers who disappeared in these canyons while on an exploration for a Canadian fur trading company — they probably died of bad luck or at the hands of resident tribes — or perhaps, part way through their expedition they said, “Screw it. This country is too wild, too impossible.” And they threw their guns to the ground and stormed off to retire in supreme comfort on the Oregon coast. Either way, they were never heard from or seen again. At the time, the spelling of Hawaii was ‘Owyhee’ and trappers began to refer to the region as such, in memory of those three men who rode out and never returned. The Owyhee River is considered a wild river (as in Wild and Scenic) and not in the social-networking definition of the word — you can’t pull off the highway at an overlook and take a photo of this piece of water while the wind tugs at the brim of your wool fedora and your lavender ombré hair billows in the breeze. 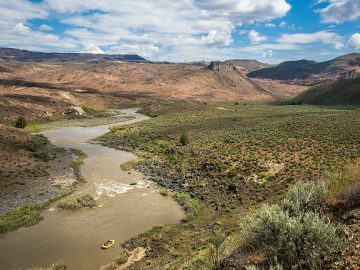 The Owyhee winds through a desolate area that is approachable by a few unmaintained two-track roads or by foot. There is a put-in and a take-out (which is remote) on this river and nothing to speak of in between. Sixty-seven miles of this river are free flowing, subject to water level changes throughout the year, even day to day. The Owyhee can be floated in mid-spring when water levels are optimum and those water levels depend entirely on snowpack. 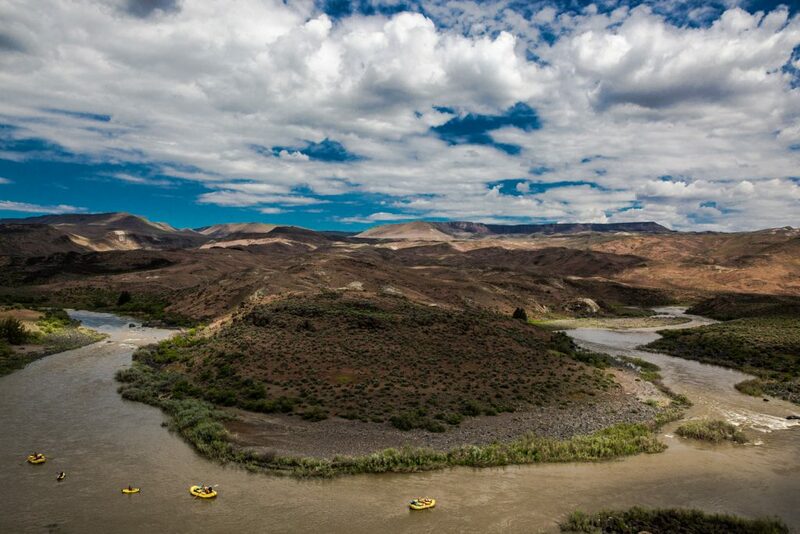 Some years the Owyhee is floatable, this spring was one such year, and I was thrilled to find myself on that fast, murky water looking up at the thousand foot ramparts, green with springtime fuzz, streaked with volcanic tuff. The float itself was exquisite. Rhyolite Canyon and Chalk Basin are the highlights of this trip from a boating perspective but what I cherished most about this journey was my ability to explore on shore. I took every chance I could to walk out into the hoodoos in the evening light and scamper to the top of crumbling domes and ghoulish rock formations. The landscape above the river is wind bitten, water washed, unstable; the hoodoos resemble an ancient gathering of striated, neapolitan-hued gargoyles, eyes tightly shut against the brilliance of daylight and the sting of the breeze. It’s otherworldly. At night, I thought I saw monsters dancing in the light of the moon. My curiosity dragged me up slot canyons, to cliff edges, over cactus patches, through glades of Indian paintbrush and I photographed the details I found lovely and astounding. 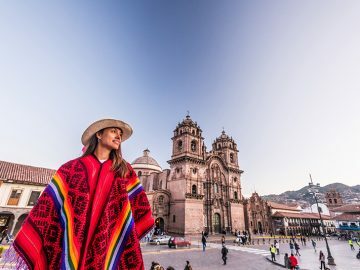 I explored as much as I could and found myself wishing I had more time to wander, to find all the answers for all my questions, to dig deeper into the landscape and have a greater sense of home there. The last morning on the river made me downright wistful. I packed my tent. I sipped my coffee as slowly as I could. I eventually sat down in a boat. I felt the current take us in its hands and draw us out. I watched the sun rise up over the canyon wall numerous times as we drifted around bends and shifted our perspectives. I remember feeling the bright power of day as it struck me suddenly, new with every turn in the river, and I was charged by the energy of that repeated moment, by the day punching through vertical rock formations, the flint and spark of sun on stone. 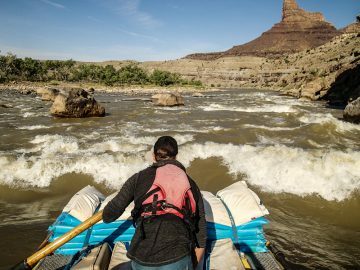 Joy Harjo wrote,“…Remember the sun’s birth at dawn, that is the strongest point of time…” And despite a full, strong heart, despite excellent company, despite the power of that last morning on the water, I found I felt lonesome before I even left the canyon of the lonesomest river in the West: the wild Owyhee. 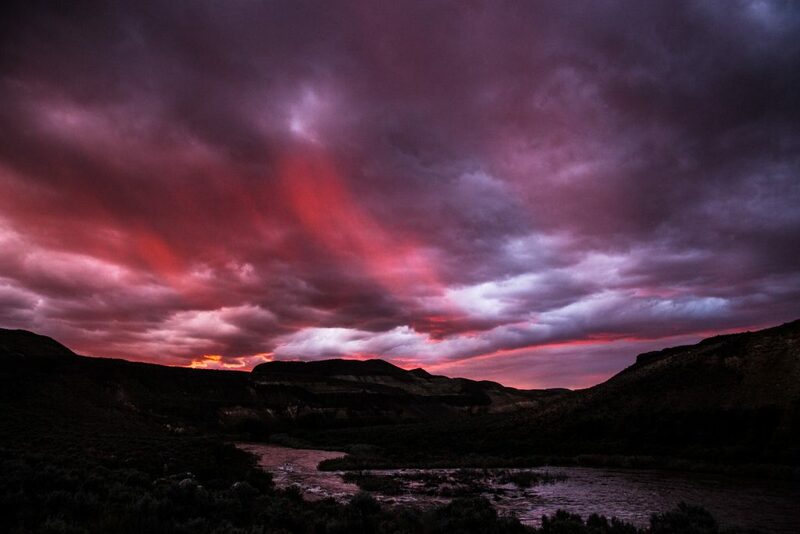 This post originally appeared at thenoisyplume.com where you can see more of Jillian’s stunning photos of the Owyhee. Jillian Lukiwski is a Canadian in Idaho. 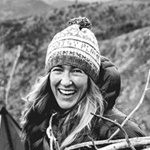 She makes her living as an independent silversmith, photographer and writer.